The goal of the Scaling Innovation for Sustainability (SIS) Project is to study the scaling out and scaling up of innovations that re-localize the economy and strengthen the resilience and sustainability of communities and regions. Financing this transition to sustainability is a critical component that we want to investigate. The Finance Research Cluster will focus on examining what are the most important components of finance to scaling (out and up) innovations that have proven themselves in one or more contexts and that could have significant impact on sustainability through scaling. An important starting point for the SIS project is the research of BALTA done under our earlier social economy research program, in particular in the book, The Resilience Imperative: Cooperative Transitions to a Steady State Economy. Though not the only BALTA research relevant to the SIS project, it documents several of the innovations that motivated our interest in this project, in particular, in the food, shelter and energy sectors. 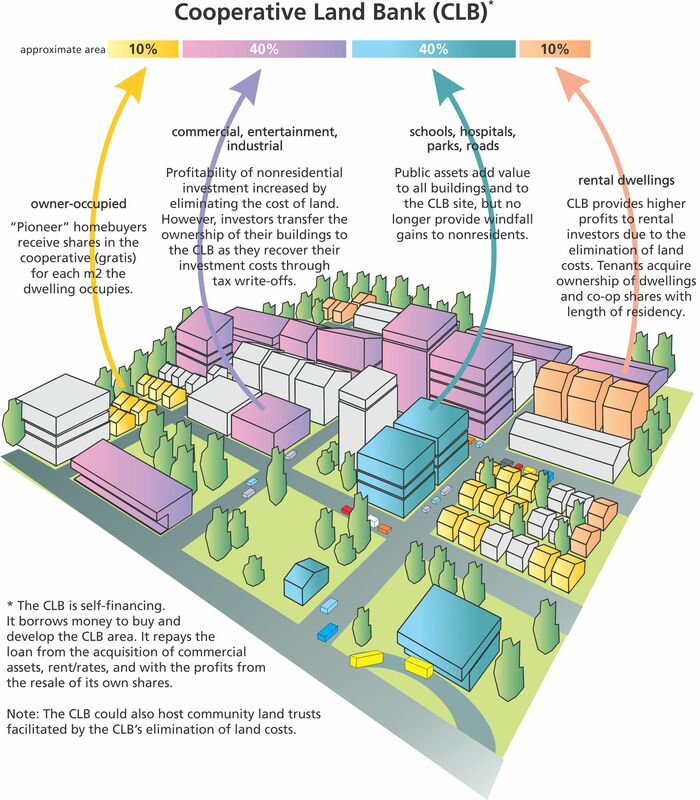 Many of these had additional innovations embedded in them, land tenure (community land trusts) and innovations related to localizing and democratizing ownership being two cross-cutting themes. However, the single ingredient cutting across all the innovations is finance. The role of finance in proven innovations and in their scaling is thus a very key strategic area that holds prominence within the SIS project. Distilling what kinds of finance (type, rate and term) are critical, whether there are distinct features in their structure and delivery, how the capital is mobilized and assembled and from whom; all are important to not only the basic needs innovations but also the issues of how to scale out and up the innovations in finance themselves. Another issue is the financing of the intermediary infrastructure that the literature and practical experience suggest is critical to diffusing and scaling innovation. What do we know of the blend of financing tools supporting the varied functions intermediaries play and to what extent are they being successfully structured to be self-sustaining, or are they? And if not, what on-going sources of financing are being accessed? The discussion of scaling financial innovations will also inevitably lead us to discussions of the macro issues in finance and investment that all too often thwart the scaling of proven innovations that could accelerate efforts to construct low carbon local and regional economies. 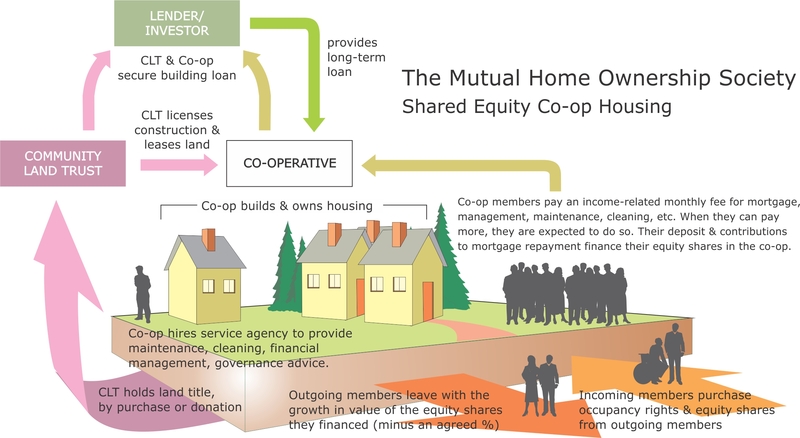 The Mutual Home Ownership Society is another innovation with promise for financial sustainability. Illustration by Don McNair from The Resilience Imperative: Co-operative Transitions to a Steady State Economy.